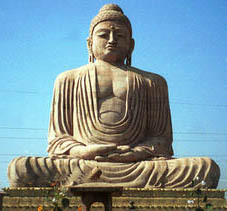 There are strong lines of similarity between Buddhism and the basic teachings of Hinduism. Buddhism is based on the principle or the law of impermanence. According to this, everything is subject to change, although some things may last longer than others. The other basic principle of Buddhism is the law of causation, according to which nothing occurs due to pure chance. Besides natural forces, it is the karma which leads to the occurrence of all events. The popular notions of the indestructible soul and the cycle of rebirth emerge from these two basic philosophies. (iv) eradication of desires can lead to removal of suffering. To prevent suffering one has to conquer craving and desire and this conquest leads to the attainment of nirvana or complete enlightenment.